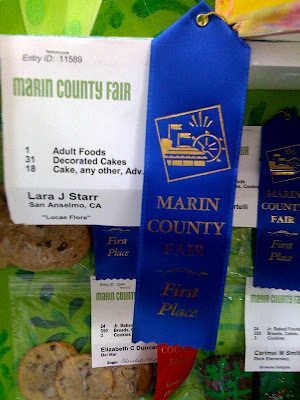 I got first place at the Marin County Fair! 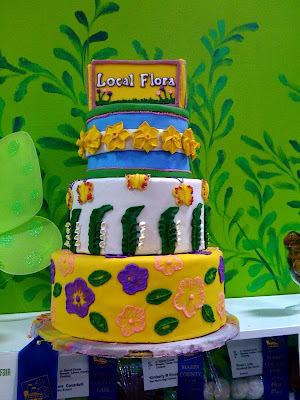 I'd like to thank the the fine folks at Wilton for the tools, techniques and access to cheap styrofoam, Silke and Local Flora for the inspiration and John & Max Starr for giving me the psychic and physical space to work on the cake. on to Santa Rosa then the STATE FAIR! Saw your cake at the fair and it looked great! Congrats! I just saw this -- CONGRATULATIONS! How fun. And lots of work, I'm sure.